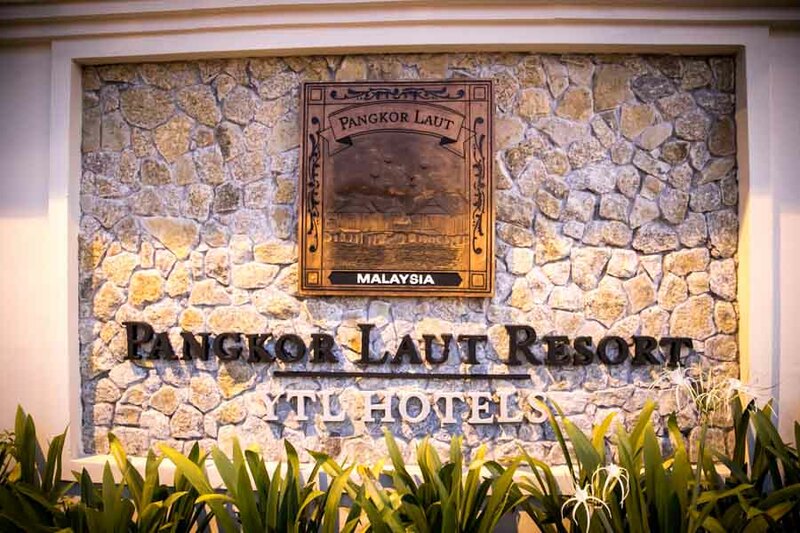 Pangkor Laut island, not to be confused with neighboring Pangkor island, is a privately-owned 300 acre island about 4.8 km off the west coast of Perak, Malaysia. 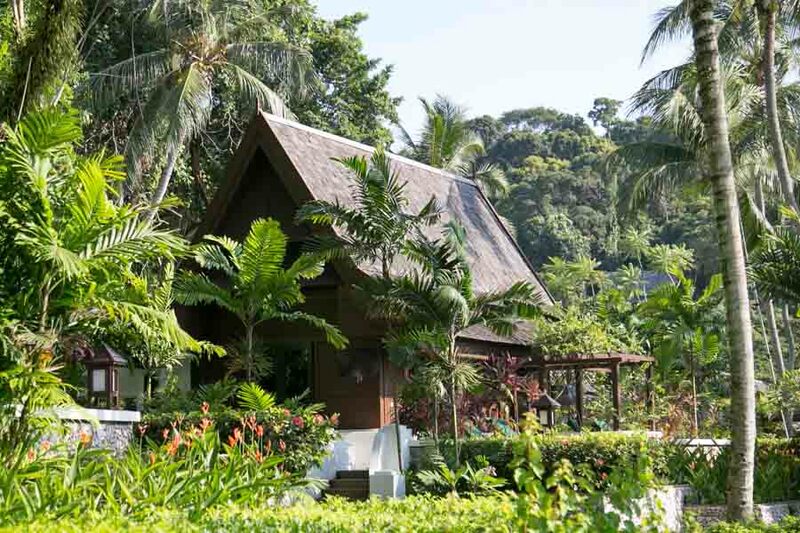 Housing a resort of 140 villas and 8 estates, Pangkor Laut Resort offers guests accommodation by the breezy sea, or immersed in a tropical eden. 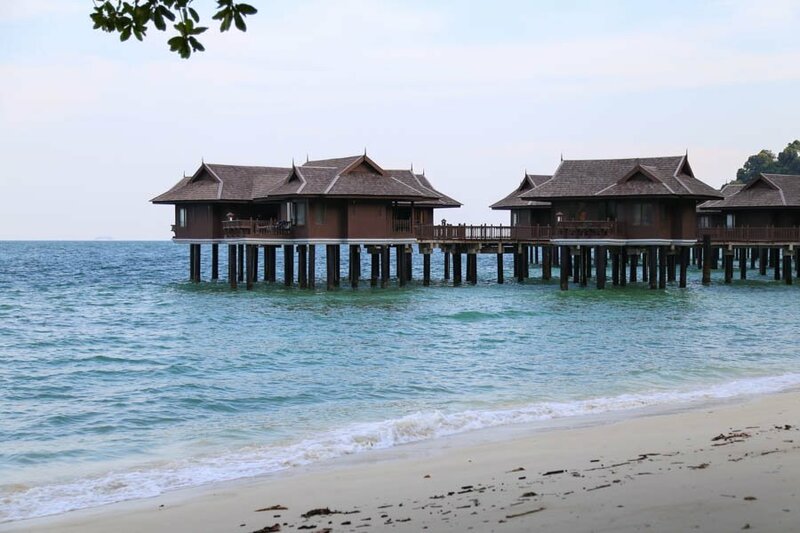 Its isolated island setting and wooden architecture provided an amazing getaway for myself during my brief stay here, and I’m going to share my 8 compelling reasons why you should visit Pangkor Laut in Malaysia for your next vacation. Vacations can’t get more private than on a private island, can it? Take your pick of sea villas on stilts surrounded by the ocean, or garden villas engulfed by green shrubbery that makes even Tarzan feel at home. Sufficiently spaced apart given the ample area on the island, each house is guaranteed privacy and intimacy not just from the outside world, but from each guests as well. Heck, your neighbor could be throwing a rave and you wouldn’t even know it. Everything is so massive I had to use the word ‘massive’ twice. 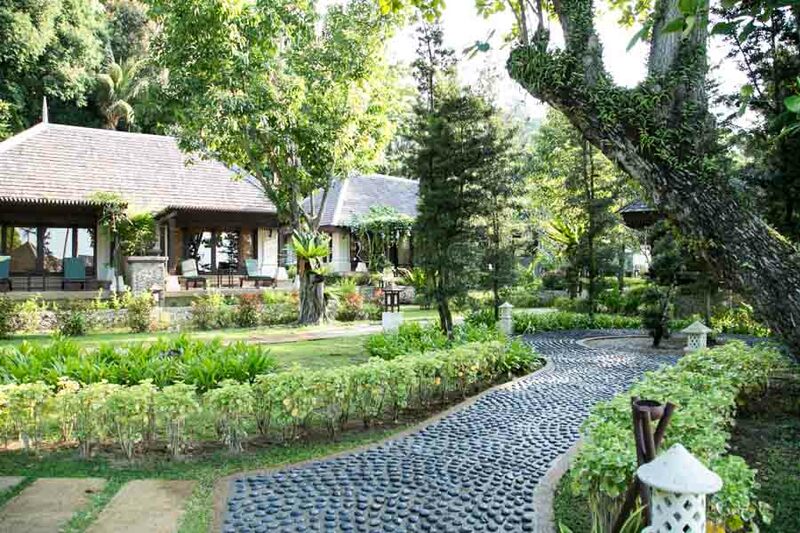 I stayed in the Spa Villa which comes with an outdoor porch and a bathroom larger than my bedroom in Singapore. 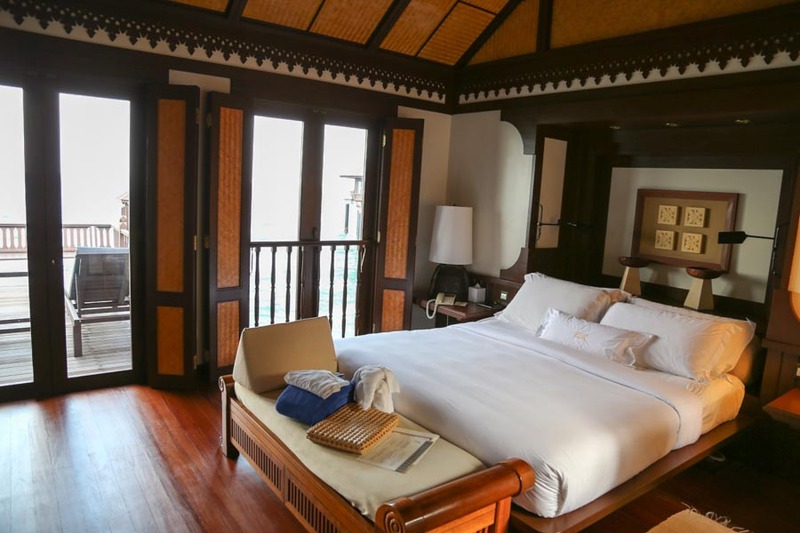 Decked in lacquered wood, rooms at Pangkor Laut Resort retain a rustic feel while providing the comforts of modern amenities. Rooms also come with a cute folded towel elephant for scale. The oversized bathtub was so big, I’m surprised I didn’t drown in it. Ok, that’s an exaggeration since I’m a great swimmer, but just look at the size of this marbled beauty. 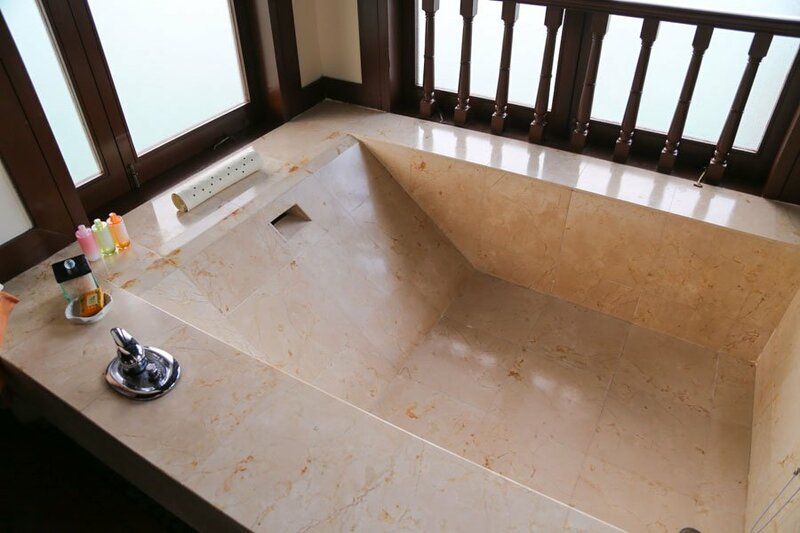 Soaking in the tub is another luxury you can enjoy right in your room. 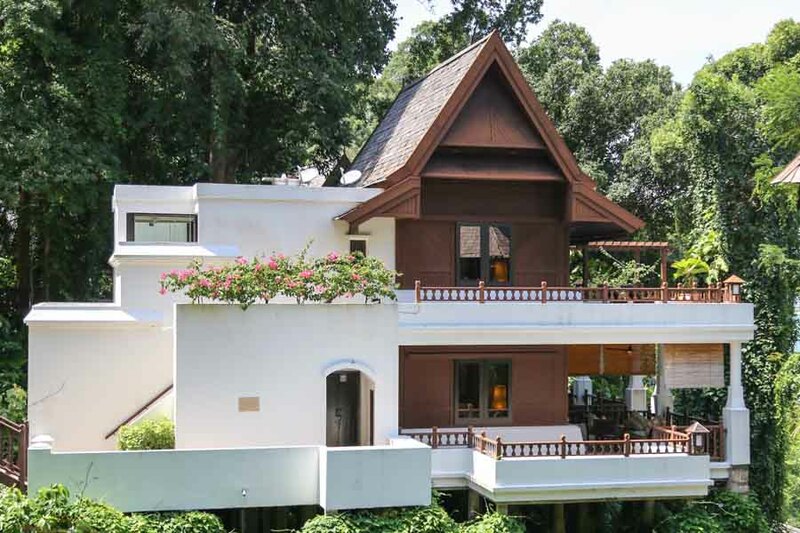 The late tenor was known to frequent Pangkor Laut so much, the resort even named a 2-storey suite after him which is now open to guests to book. 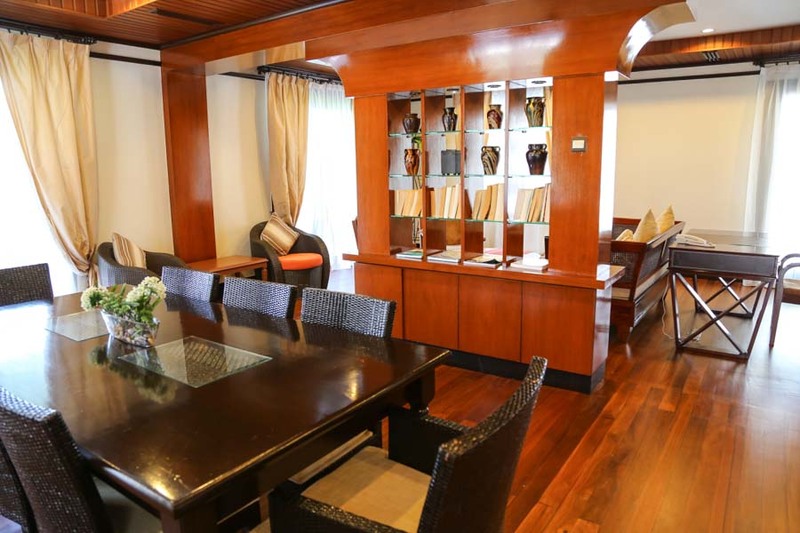 This suite comes with 2 bedrooms, open-roofed bathroom, living room, dining area, kitchen and also washing facilities for a longstay. 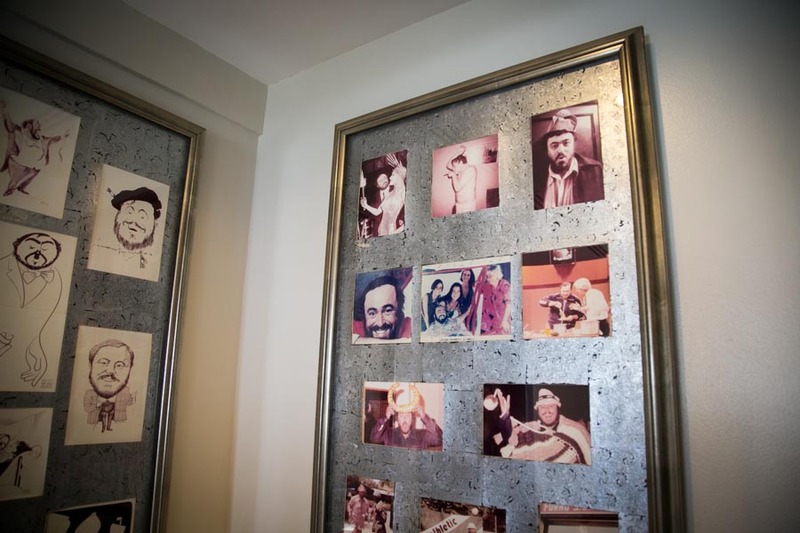 The 242 sqm Pavarotti suite, a combination of 4 Hill Villa units, lets guests enjoy the same lavishness the great singer stayed at, but doesn’t guarantee you’ll magically develop a great voice during your residence. 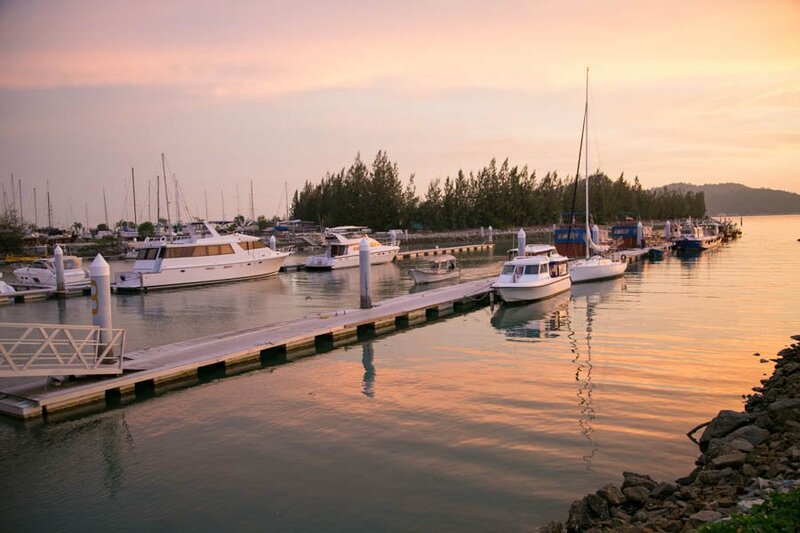 Even the jetty towards the island provides a picturesque scene worthy of Instagram. The golden hour of the sun setting made it all that more magnificent for photo-taking. There are endless photo opportunities in this resort that will make great postcards to mail back to your jealous colleagues. 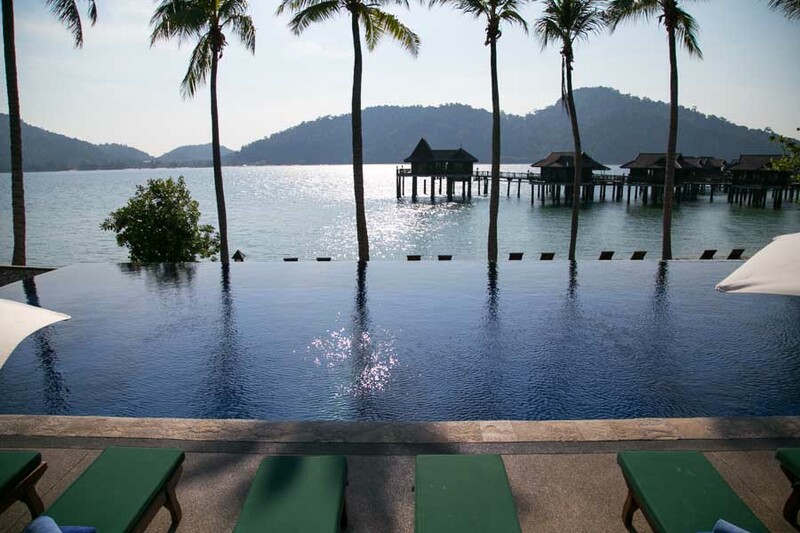 Throughout the vacation in Pangkor Laut, the island imagery will surely bring out your inner zen with relentless breathtaking views one after another. 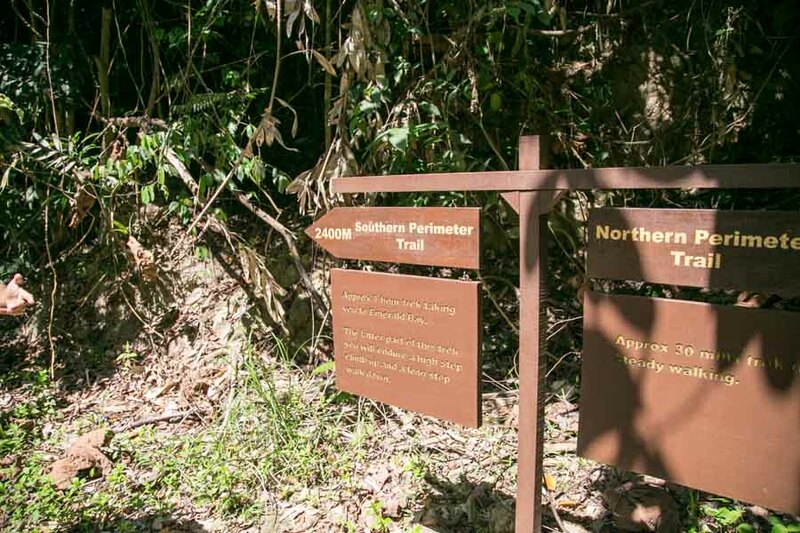 One of the highlights of this stay was a nature trek through the forest accompanied by the experienced local guide, Aris. Not only is Aris extremely knowledgeable about the island’s natural habitat and ecology, his fluent command of English and humour made the walk all that more educational and entertaining. 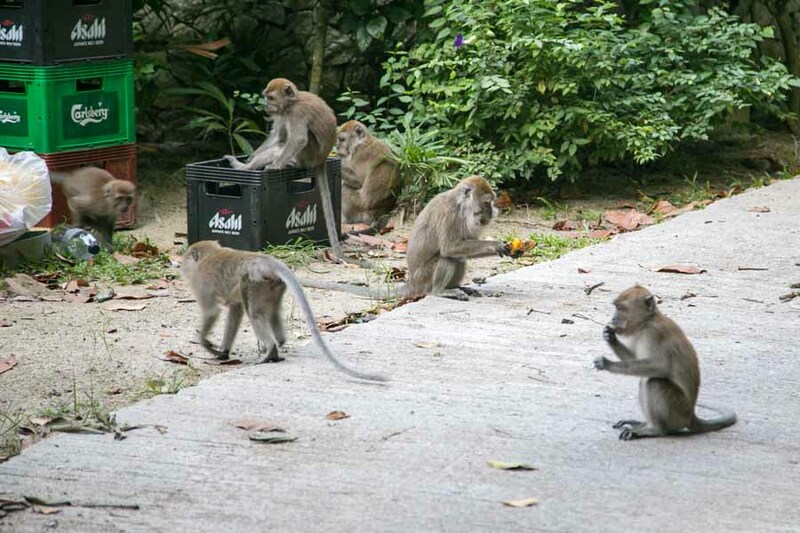 There are loads of monkeys living in the forests, who occasionally perform well-planned heists on guests’ bedrooms (I heard they even have a solo monkey lookout while the rest party in the room) – be advised to lock your doors when you leave the room or risk getting burgled by these smart primates. 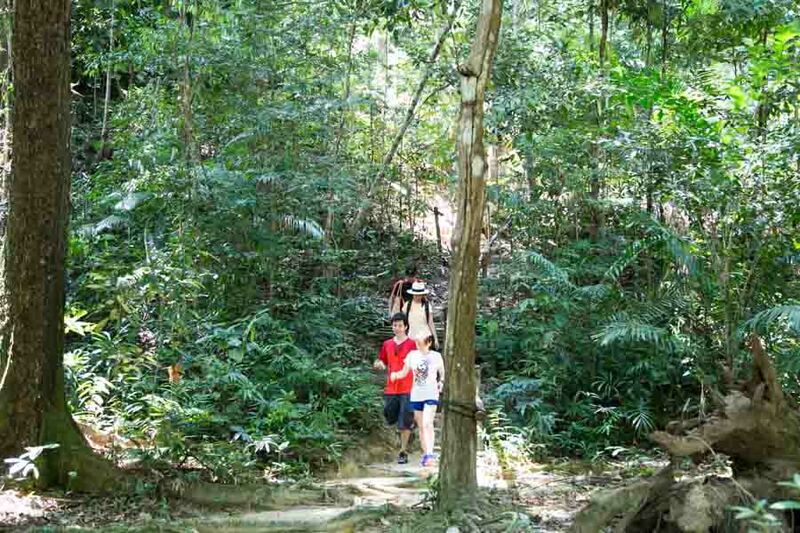 There are 2 possible trails that lead through the forest; one for average people and one for warrior Amazonians. It was certainly a great refresher class on geography and allows one to appreciate the native wilderness most of us have lost contact with, compared to the concrete jungle we reside in instead. I wasn’t expecting a high level of cuisine from the various island resorts I’ve stay at in the past, but Pangkor Laut’s restaurants have pleasantly surprised me and my stomach. 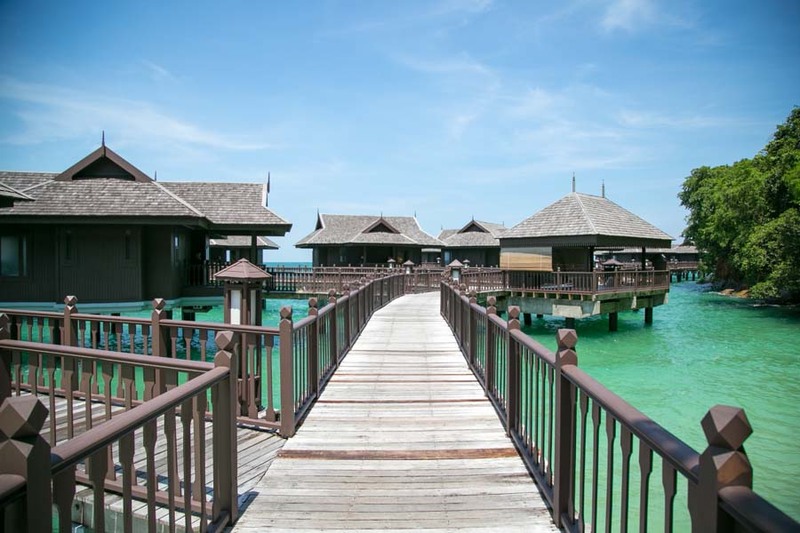 Malaysia is rather well-known for its great food, and Pangkor Laut delivers on that promise. 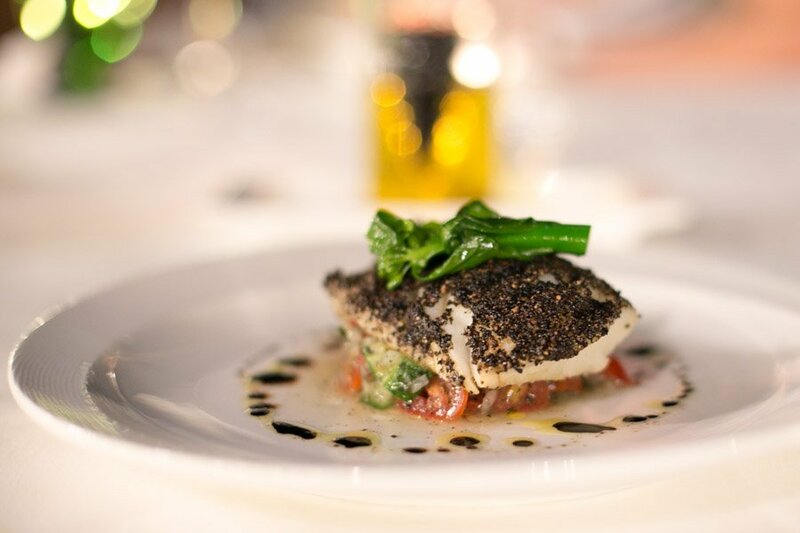 Fisherman’s Cove offers a symphony of Western grills, fresh seafood and Italian cuisine all using local ingredients masterfully prepared to tantalize the tastebuds. 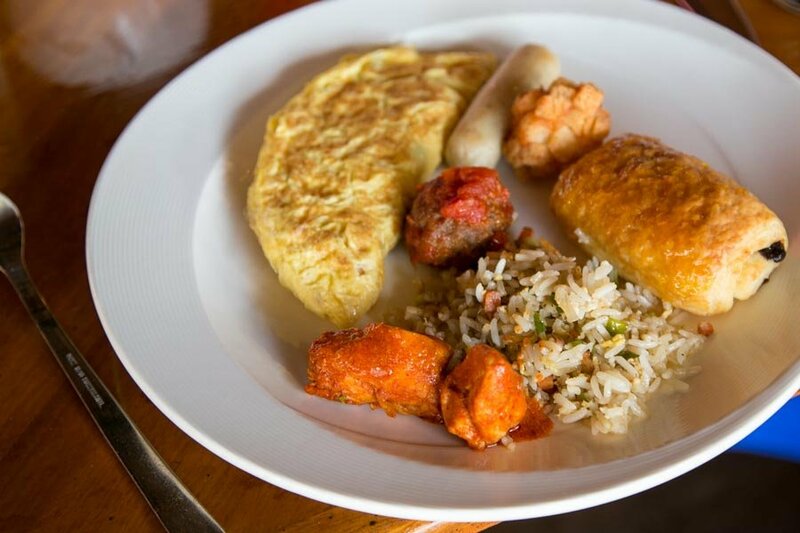 At Chapman’s Bar at Emerald Bay, local Malaysian dishes can be enjoyed as well, albeit with a premium touch and higher price. 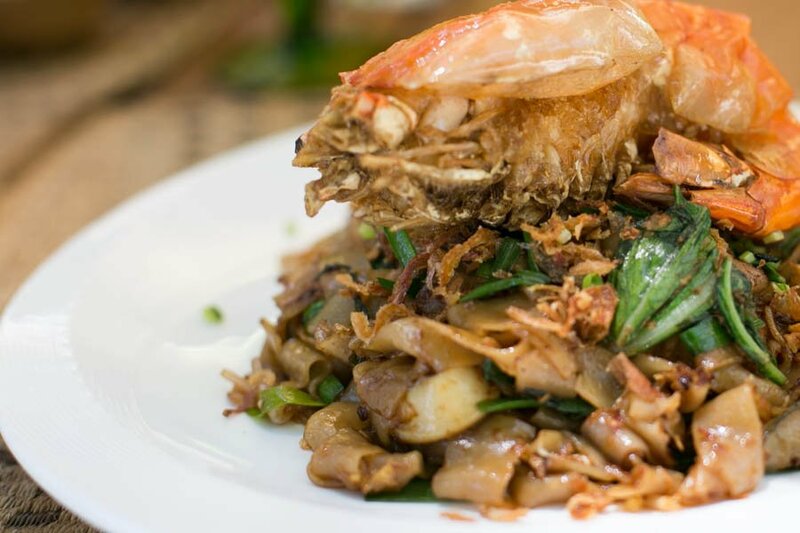 It’s a pretty atas resort, so hawker food has to be atas too like Char Kway Teow with added Giant Tiger Prawn. 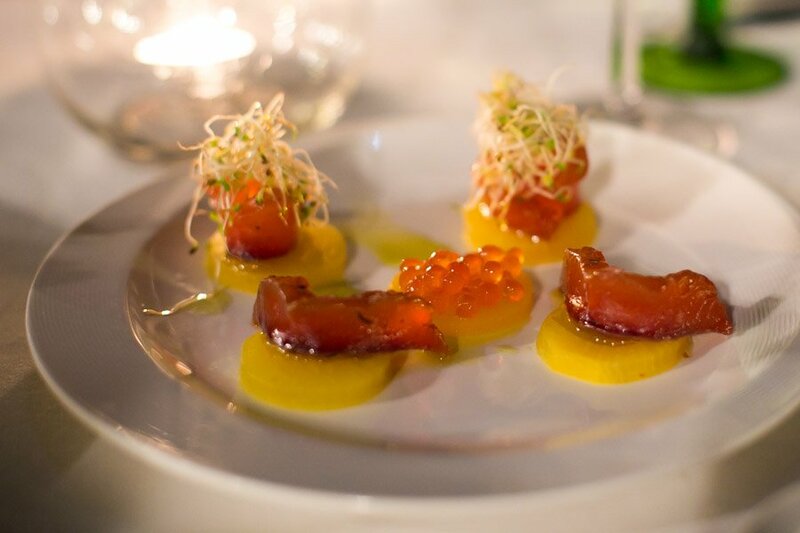 From fine-dining to more casual meals, the food here won’t disappoint. 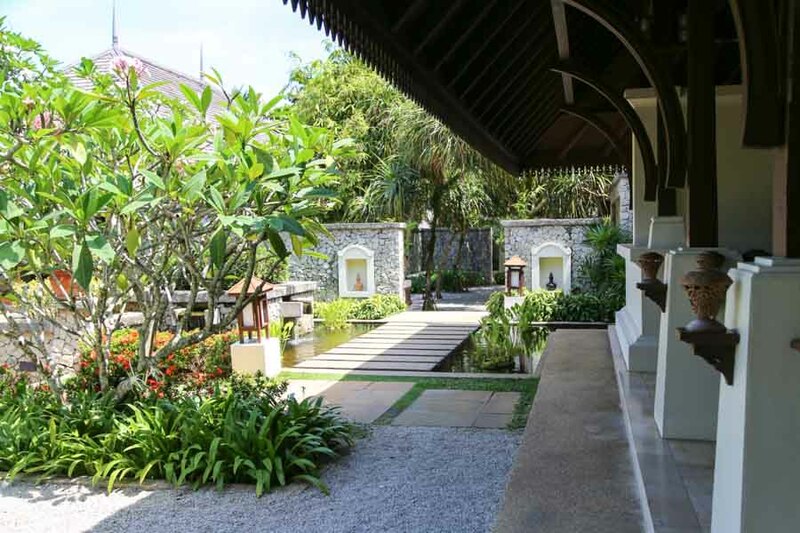 The Spa Village Pangkor Laut put me through one of the longest spa treatments I’ve experienced in my life, with aptly named packages like the “Ultimate Spa Experience” along with other a la carte varieties you can customize yourself. The half day package takes 4 hours, while a full day spa takes a skin-wrinkling 8 hours. The multi-cultural spa package I went through consisted of Foot Ponding, Malay Flower Bath, Japanese Bath, Shanghai Scrub, Full Body Massage, Steam bath, soaking in some kind of herbal lemon bath and 8 times of showering. At some point I even tossed a coin and made a wish in a well; the wonders never cease. And this is not even the entire spa menu that Spa Village has to offer. You have to experience it yourself to believe how mind-blowing everything was. 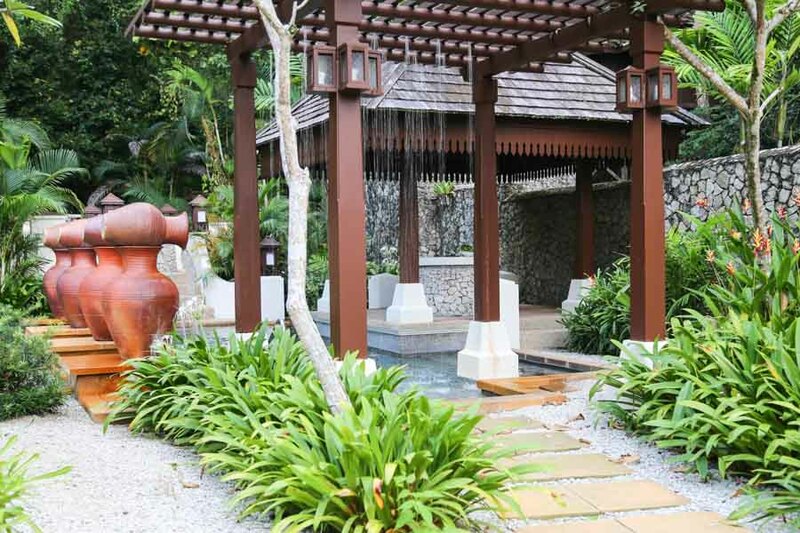 It’s no wonder Pangkor Laut has won multiple accolades as a top Spa Resort. 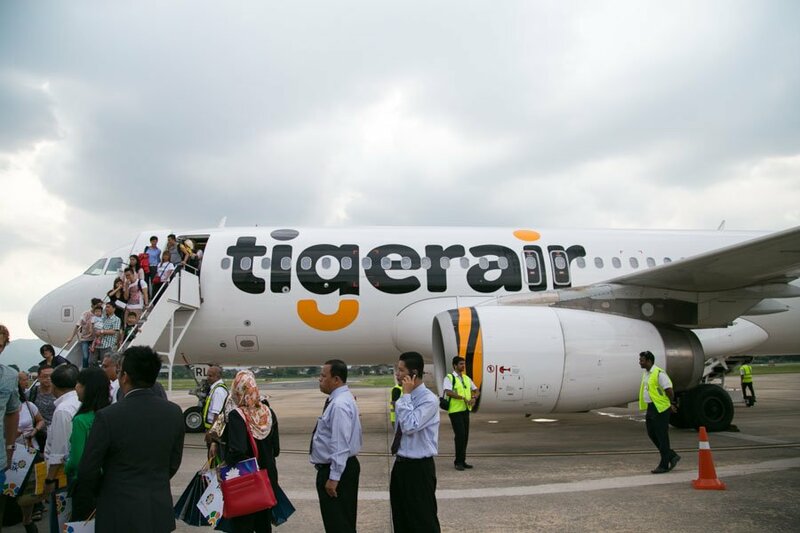 With Tigerair now flying direct to Ipoh, Malaysia (where we took about an hour car ride to Marina Island Pangkor jetty, and then a 15 minute boat ride onto the island), it’s pretty affordable to travel to Pangkor Laut Resort with one way tickets costing less than $70 depending on season. Great food, comforting accommodations, a serene environment and marathon spas, you even get to rub shoulders with mafia monkeys! 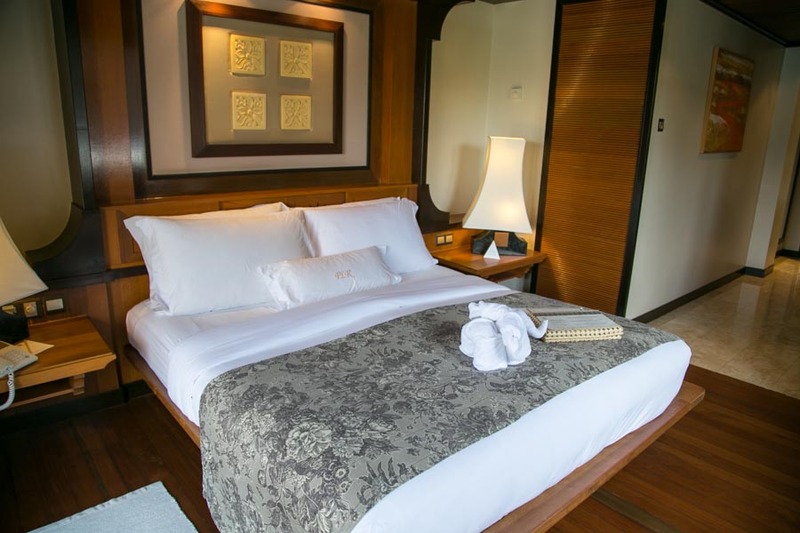 Compared to the distance and cost of traveling to some other popular island say Maldives, Pangkor Laut island offers a great alternative to get acquainted with a relaxing island resort life. 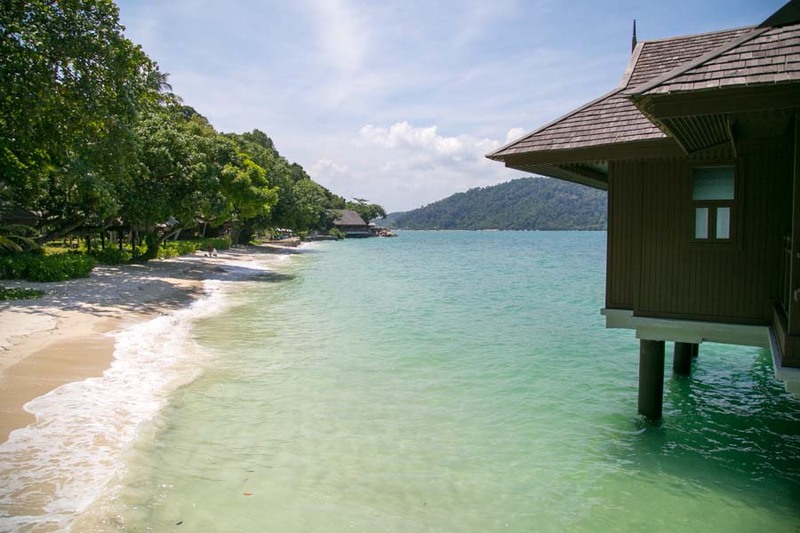 At Pangkor Laut Resort, luxury and nature are harmoniously intertwined to create a unique island vacation you won’t want to miss. I hope the reasons I’ve stated is more than enough to convince you to book your next trip to this highly acclaimed resort.